Five years ago, a ground-breaking production system that combined the endless possibilities of software with the feel of real, physical instruments and hardware hit the market — and changed music production forever. 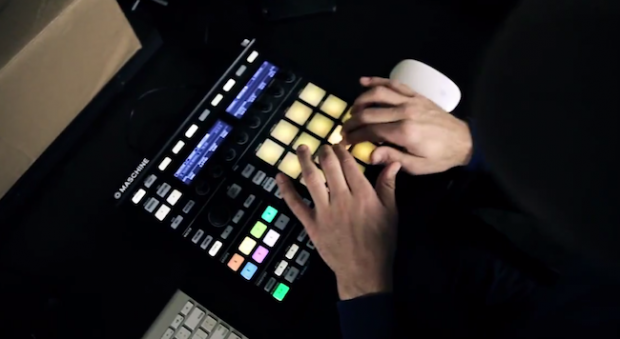 That system is Native Instruments’ Maschine. While the industry was aware of what this new system could potentially do to help streamline the studio workflow, it took a few open-minded producers to embraced it, incorporate it into their music, and reveal the true power of Maschine to the world. Enter the protagonist in this story: JK Swopes, AKA st.joe. 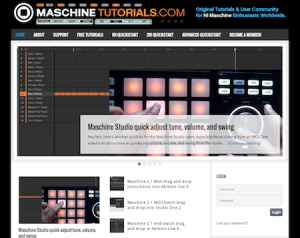 After two full years of exploring Maschine at a level few others can rival, JK founded Maschinetutorials.com — a website that has taught tens of thousands of people around the world how to master the Maschine. To find out more about his journey to becoming an industry authority, and just how far Maschine has come since 1.0, we decided to ask the man himself. 1) How did you get started creating and producing music? Back in 2001, I needed music for myself as well as other independent gospel rap artists I was working with. I Always enjoyed music before that, but didn’t buy my first drum machine until that year – a Boss Dr-5. After that, I just kept learning and getting more gear. 2) What would you say are your biggest musical influences? I really don’t have any one big influence, I’m just a lover of sound. I grew up in the 80’s/90’s so all of that plus old school soul, jazz, funk, rock, orchestral, whatever. I just love music in general. 3) When Maschine hit the market in 2009, you were one of those guys that took to it immediately. Why? What kind of problems did it solve for you as a musician/producer? I was a huge Akai MPC guy, trying to transition into the digital realm, but always felt the lack of hands-on control. I didn’t like mapping controllers and such – it just didn’t feel like what I was used to. Maschine was different – it gave me the workflow I was used to with more flexibility due to it’s software nature. It added the hands-on aspect I loved with the various options and integration that software brought to the table. It was a great mix of both worlds. It really just gave me a fast workflow from idea all the way to creation. 4) How far has the system (Maschine) come since then? Oh man! It’s come a VERY long way. In the early days we couldn’t use plugins, I even remember a point where we couldn’t really edit our slice points when chopping, it was either by divisions or transient. So many things have been added it’s crazy to think we are just on version 2, compared to many well known platforms that are on version 8, 9, 10, 11 and so on. I’m definitely excited to see where it can go. 5) Do you have a favorite album/project that you’ve ever worked on? Not really, mostly just stuff I’ve done with friends over the years. I was recording a lot between 03 to around 06 or so, so just that whole time of working on music and getting our message out there was cool. 6) What prompted you to start Maschinetutorials.com? I was helping people understand and use Maschine from the very early days, I would get tons of questions daily, many times the same questions, of course the nature of the internet meant I would get these questions at all hours of the day or night. So I felt a place dedicated exclusively to teaching Maschine and the many ways to use it with other products would be beneficial so people would be able to get in and find what they need at any time. Or if someone had specific questions I would be able to answer them directly. I also wanted a place where people didn’t feel intimidated to ask even the simplest questions. Many times online, people get ridiculed for asking basic stuff. So the goal was to build a community where people of all levels felt comfortable asking questions and learning how to use Maschine. 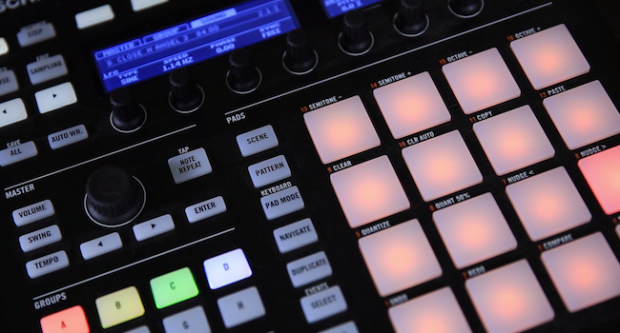 7) Would you consider Maschine a particularly difficult system to master? It depends on what you mean by “master” as there are different ways to use it. I don’t consider it extremely difficult, there are just a lot of different ways you can use it, lots of different workflows and finding the way it works for you is the main goal. There’s a lot there, a lot it can do, I just try to make it easier to find out how to do what you want and get to making music. 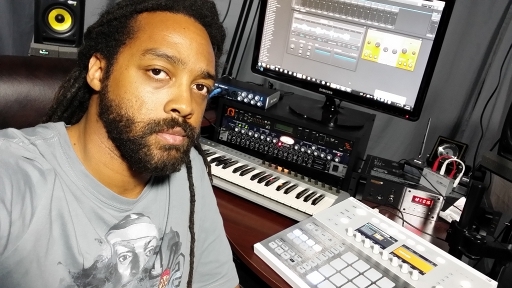 8) KnockSquared contributes to Maschinetutorials.com, and he’s also going to be a guest on your CL class. When it comes to producing, would you say your styles compliment each other, or do you represent different styles/techniques? Production wise we are different only because Knock is a master when it comes to production. He can make pretty much any style. If you search “Doug Lazy” you will see he’s also a well known house producer with some big releases over the years. He’s also a DJ, so his style is very diverse with his mixture of house, pop, hip hop, and his ear from being a DJ. 9) Let’s get theoretical: You’ve got $1,500 to build a home studio and write/record 3 tracks. How would you spend it? Well, that’s a tough question to answer simply because it depends on what you mean by a song. If you mean vocals and an instrumental, I could suggest something like Maschine, Komplete, and a decent interface with a good mic. If you’re a singer or rapper, you mainly need a great interface, mic, and a DAW, because you would most likely be getting your music from a producer. 10) Where else can we find out about you and your work? You can find out more about me and what I do at jkswopes.com and my upcoming CreativeLive Course – Mastering the Maschine.